Satellite Internet and satellite broadband for US and Americas. Canada, US and S.America satellite broadband forum. 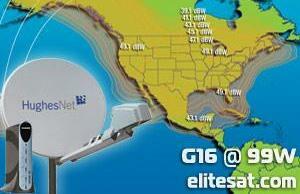 Satellite Internet services for North America, Caribbean, Central and South America. 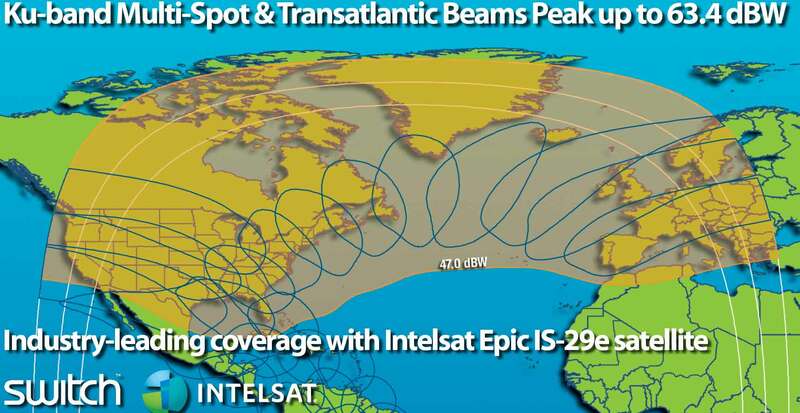 Satellite broadband and email access connection via direct two-way customer terminals is possible in North America, the USA, Caribbean and South America following the building of VSAT teleport hubs by satellite broadband service providers. Fast web downloads, email, ftp file transfers and streaming video and audio are achieved with bit speeds often of several Mbit/s, using a share of a high bandwidth connection from a large hub station with a rate of up to 57 Msps, like digital sat TV DVB-S or DVB-S2 signal. Two way satellite capacity is normally shared. Services for SOHO users have higher sharing ratios, but are much lower cost than services for business users or internet cafés, where dedicated or low ratio sharing is the rule. To assure fair sharing, Gbytes quotas are normally applied. 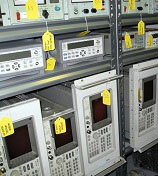 Service providers have tariffs for various peak service bit rates and download amounts per month. Email and internet web browsing are the usual intended use. For applications requiring substantial uploading of data or for video or voice VoIP ask about higher price options and feasibility. My summary of the services from each provider. Go to referenced web sites, click on the emails or phone to ask for prices and confirm technical details. 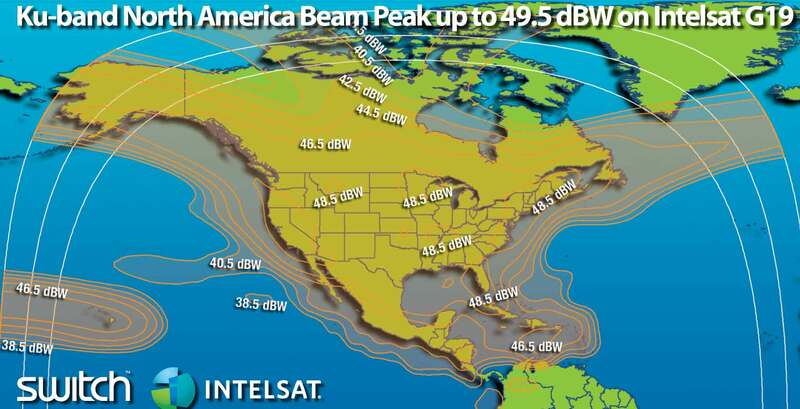 Canada, USA, North and South America: Coverage maps below. These listings are at my discretion for your benefit. This page does not have paid-for advertising. Let me know of any problems with the companies listed. eric@satsig.net if your company is interested in being listed please say. There are many companies with separate pages. See the lowed end of this long page. 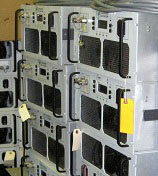 This company specializes in Satellite Technology with its own TELEPHONE and HUB with NEWTEC technology. - Team with a proven track record in satellite communications. - Provide services to companies, companies, military and governments. - Support SCPC, SCPC / DAMA, TDM / SCPC, Mesh & TDMA and MX-DMA. - We provide static IP, VOIP and other services. - We provide customers the option to purchase hardware at cost directly from our suppliers without any restriction. - Consult our prices for Providers, City Halls, residences and others in Brazil and any other country in South America. 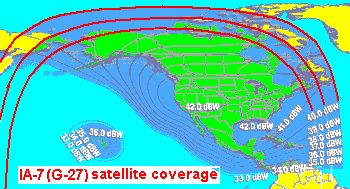 Example, coverage using Horizons 1 (127 West Ku-band) and AM-8 Americas Beam, including CONUS, OCONUS, Alaska, Hawaii, the Caribbean Islands, Guam, Bermuda, Colombia, Brazil, Argentina, and Peru. 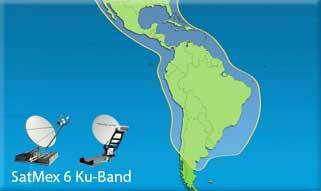 Ku-band coverage of the Atlantic ocean between the North America and Europe is provided by Intelsat 34 (I-34) North Atlantic Beam.
. Engineers with +10 yrs experience with stabilized [SeaTel/Spacetrack/Intellian], auto acquire and fixed VSAT solutions.
. Technicians with +10 yrs experience with Fiber build out and repairs.
. Engineers and technicians who have worked for O&G/Maritime operations (offshore and onshore) in Trinidad, Suriname, Guyana, French Guiana, Columbia and Venezuela. They are based in San Fernando, Trinidad and have travel approval throughout the Caribbean region. 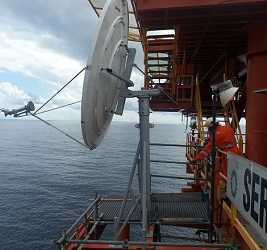 Fixed 1.8m VSAT antenna install in progress on gas platform. MM Telcom : Reliable communications for the Caribbean and all of South America. Based in New York, USA. 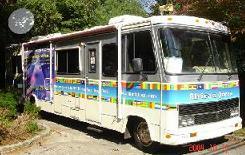 Donated 36' RV converted to medical clinic equipped with video. 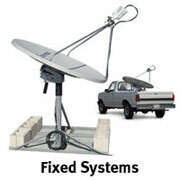 Mobil Satellite Technologies offer fixed, mobile, portable and marine Satellite Internet solutions. Switch is a privately-owned telecom company operating out of Edmonton, Alberta in Western Canada, that offers price-competitive C-band and Ku-band VSAT services (including SCPC) globally, in addition to wholesale satellite segment. They deploy fixed, fixed-mobile and autopoint systems to remote locations and primarily service the Oil & Gas and mining sectors as well as the far North of Canada. 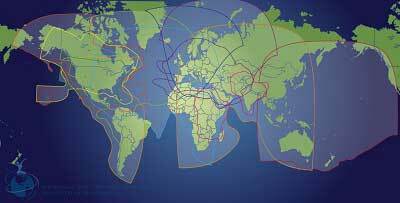 Satellites primarily used include G18, G19, G23 and the soon on the new Epic 29e bird from Intelsat. Primary platform is iDirect. Intelsat Epic US, Canada, transatlantic beam. Intelsat G19 Canada, US and Caribbean beam. Switch also extends its reach through its Reseller and Wholesale Partner programs. In addition to VSAT services, Switch offers turnkey managed internet services, DSL, fiber, microwave backhaul, IPTV-over-satellite and VoIP phone services to its many customers across Canada. 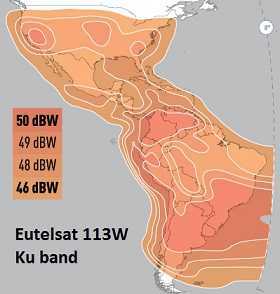 Satmex 6 Ku band coverage. Galaxy 18 / AMC 9 Ku band coverage. Ground Control has a variety of stationary VSAT systems for Ku-Band connectivity, including the TripleA semi-mobile system. 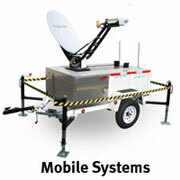 They manufacture mobile VSAT dishes including complete trailer systems. Their flagship Toughsat mobiles are used world-wide. 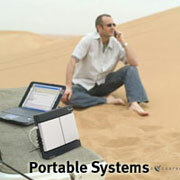 Portable BGAN satellite systems are also available. These small terminals have global coverage and can fit inside of a laptop case. 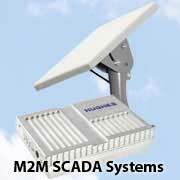 New M2M satellite technology allows for remote device monitoring and control anywhere on the globe for $50/mo usd. 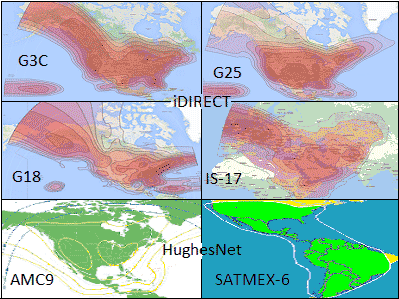 HughesNet HX and iDirect X1 service for South America and the Caribbean using the high power Ku band E8WB satellite at 8 deg west and Telstar 12 at 15 deg west. Coverage area includes: All of Caribbean, Trinidad, Tobago, Grenada, Aruba, Bonaire, Curacao and all South America countries: Panama, Bolivia, Brazil, Colombia, Guyana, Ecuador, French Guiana, Peru, Paraguay, Suriname, Venezuela. Argentina, Bolivia, Paraguay, Chile. Customer VSAT dish size is 1.2m - 1.8m diameter according to location. Special quality of service techniques and advanced proprietary TCP/IP compression give much faster broadband downloads compared with unprocessed feeds. 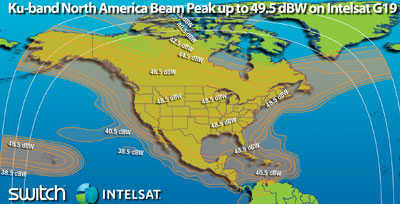 Coverage in all of North America including northern Canada, Alaska, the Pacific Hawaiian islands, Puerto Rico, USVI, Central and South America is provided via the Intelsat Americas IA-7(G-27) satellite. AST Systems US, LLC offers a wide range of VSAT based solutions and expert advice of satellite communications around the globe. Their services include high speed satellite internet access, land-maritime mobile internet access, and voice services. The focus is helping customers with their communications needs. Service providers include iDirect, Spacenet, WildBlue, Inmarsat and Iridium. Some of the markets served are government, cutting edge-innovative companies, retail, small office / home office, and multi-site locations. Coverage in North America and South America: Guatemala, Belize, Honduras, Nicaragua, Costa Rica, Panama, Colombia. Bahamas, Jamaica, Haiti, Puerto Rico, Antigua, St Lucia, Barbados, Trinidad, Bonaire, Venezuela, Colombia and Guyana is provided via Satmex 6. 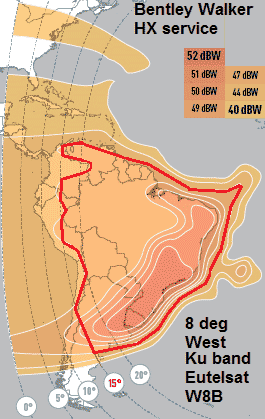 Coverage of South America, Europe and S.Africa: As far east as the United Arab Emirates, provided via Telstar 12. Elite are a major US national sales agent for HughesNet service. 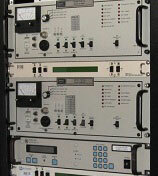 The HughesNet service operates using multiple transponders at 14 orbit positions. The coverage pattern shown in the map on the right is one example. A variety of tariff plans are offered suitable for Home User to Commercial Business, with corresponding maximum download and upload bits rates, shared using a fair access policy based on a threshold number of Mbytes which may be downloaded at high speed, followed by a recovery period at a lower download bit rate. The customer modems now being delivered are the new HN7000s variety. Service is only available in the lower 48 US states. Skycasters provides high speed satellite Internet access throughout North America and Central America to customers who need more than traditional terrestrial landlines. They provide service through fixed, mobile and transportable equipment to a wide spectrum of customers concerned with disaster response; oil, gas & mining; business continuity, remote and telemedicine applications. Mobile solutions include Skycasters rugged ready-to-deploy trailer and other turn-key equipment that can be easily mounted on a truck or a RV. They provide integrated Point-to-Multipoint WiMAX Internet solutions with satellite backhaul for Communities, Internet Cafés and Resort/Tourist Destinations, including administration and billing services. 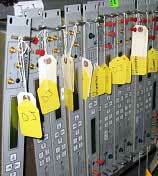 Services are delivered through Ku band transponders using iDirect Technology Solutions. The teleport infrastructure, satellite hubs and the network operations center are company owned and business-grade. Skycasters offer a wide range of service plans reaching speeds of 4 Mbps download and 1.5 Mbps upload which match terrestrial speeds, and basic plans which cater to small businesses and residential customers. The service plans feature Committed Information Rates (CIR), which guarantee high speed access during peak hours. 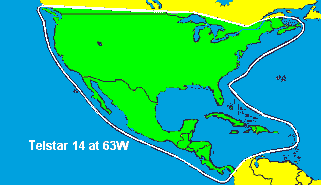 Galaxy 28 provides coverage of North America, N Mexico and much of the Caribbean. 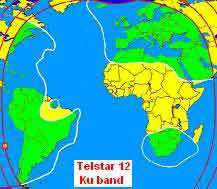 Telstar-14 adds central America coverage as far south as Panama. 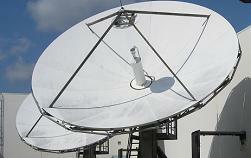 VSAT Systems is a solutions based provider of VSAT satellite communication systems in North and Central America. An independent teleport operator and a bandwidth wholesaler, VSAT Systems provides complete turn-key capabilities to Virtual Network Operators (VNO) to operate their own networks without commitment or the investment in the teleport infrastructure. VSAT Systems also has a Value Added Reseller (VAR) program available to companies who directly sell satellite Internet services to end users. The teleport infrastructure, iDirect Satellite hubs and the network operations center have redundant equipment throughout along with a dedicated in-house technical support and engineering team. VSAT Systems capabilities enable their clients to provide broadband Internet through fixed, mobile and transportable equipment. VSAT Systems also enables clients to provide integrated business solutions like VPN and data-center co-location. 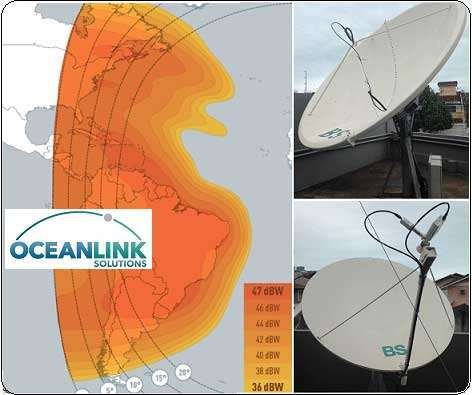 VSAT Satellite Connections: Operating from their International Teleport located in Miami, Florida this company provides services to communities and companies in all parts of the Caribbean, Central and S. America where Internet or telephone communication is hard to find. Satellite Equipment for sale: New Era also sell a wide variety of new and used satellite equipment for existing installations, or assistance in creating brand new teleport hubs and VSAT facilities for Corporations, ISPs, Cafes or NGOs. The company employees are friendly and experienced in implementing such services. Please mail me, Eric Johnston, if you have suggestions, additions, comments about this page or comments about the companies featured either above or below. All input is welcome. Please contribute to my satellite internet forum. Ask your questions and please offer your advice to help others. I have written up a 'how satellite broadband works' white pages guide. A wireless or cable LAN is a way of sharing the VSAT equipment price and monthly download bandwidth costs amongst a number of local users in a star network to provide for internet cafés, local communities, apartment buildings, shopping malls, hotels, office parks and within cruise ships. The setting up and management of two-way satellite broadband interactive (BBI) return channel system (RCS) terminals (SIT) is done by the provider so any problem VSAT sites can be switched off remotely until a technician attends. Also, the equipment design and frequency bands comply to international regulatory "type approval" for general use so that operation does not cause interference to others or continue to require individual license / licensing. Non-approved terminals will continue to require individual licensing. This page is Copyright (c) SSL 2002 All rights reserved. "SSL", "SatSig" and "Ivsat" are TradeMarks. Names used on this page, Skycasters, Ground Control, VSAT systems, Netmodem, GT&T, iPDirect, iDirect, STAR-PRO, Wildblue, Telesat, Galaxy, Satmex, HughesNet are trade names of the respective companies. Images are displayed with permission of the respective companies.